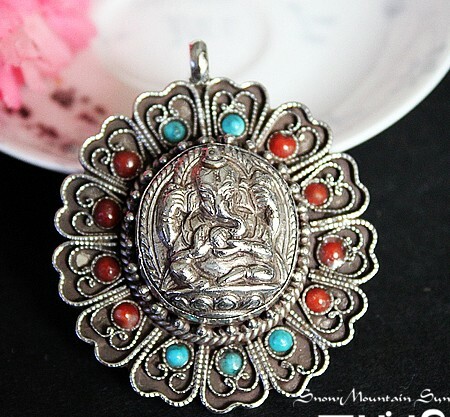 Handmade Tibetan Garnesh Fortune Buddha Statue Pendant. This Garnesh Buddha statue pendant is handmade from sterling silver, turquoise and coral beads in Nepal. 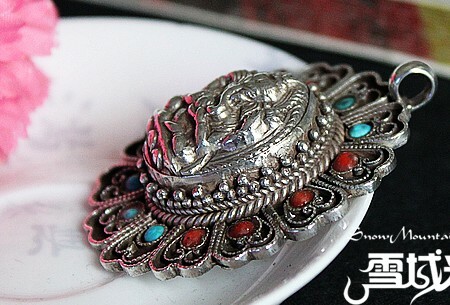 The size of the tibetan pendant is 53mm*45mm*13mm. Weight: about 31g.